Should I Get Micro Needling Before My Wedding? Our wedding day is one of the most special days in our lives but it can also be the most stressful in the months leading up to it! From the moment we’re engaged most of us start to worry about how we’ll look on the big day – wedding diets, personal trainers are all on the go but what about your skin? Medical Micro Needling is the process of using needles to create micro channels into the skin – By creating these channels we activate our skins natural defence mechanism and encourage it to heal itself. By healing it will not only heal the micro channels but repair any damage currently on the skin. What Does Micro Needling Do? When we encourage our skin to repair itself we are also encouraging our collagen to renew itself. After just one treatment our collagen is stimulated and this will continue to for about 2 weeks after the treatment. An increase in collagen helps prevent wrinkles and plump existing marks in the face. Even if we have tackled our acne problems acne can leave different scars on our face whether from picking at them or not taking care of them properly. Microneedling is the ideal treatment to improve scarring. With the Rejuvapen micro needle we also have the ability to go deeper on areas that need it more – so we can target scars and lines deeper and get a better result. Yes Micro Needling helps with Stretch Marks! Just like with scars or acne scarring the microchannels created encourage the skin to heal itself. 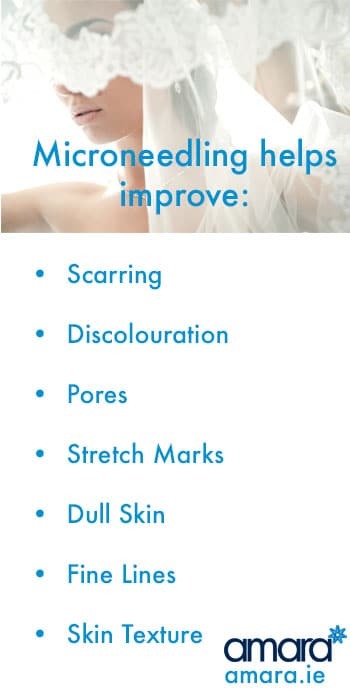 A minimum of 5 treatments is recommended for any scar treatments. Brides and grooms are worried about pores on their big day! Make up goes better and lasts longer on skin that is smooth. Micro Needling helps to minimise pores and help rejuvenate the skin. Pigmentation is a huge issue for Irish in particular. Discoloration of the skin is caused by sun damage or even previous skin conditions. Though microneedling does not remove pigmentation fully it will help with your overall complexion. If used in conjunction with pigmentation targeting products such as ZO Skin Medical then this can have a greater effect. Is It like the Vampire Facial? Micro Needling is used in the Vampire Facial or PRP treatment. However with standard micro needling treatment, copper peptides and growth factors are added to the skin rather than your own plasma taken from your blood. What’s Involved in Medical Microneedling? The peptide and growth factors are then added the skin and then needled into the skin. The whole area is treated with the Micro Needles (depending on where is being treated) – with scarring and lines we can go back over these areas and go deeper to get better results. A copper repair cream is added to the area to help the healing process and remove redness. If treatment was on the face or neck then a cooling mask can also be used to take down the redness if desired. After the treatment it is essential to use only the copper repair kit with face wash, copper repair cream and SPF. This should be used for about 4 days after the treatment however makeup can be worn the next day. 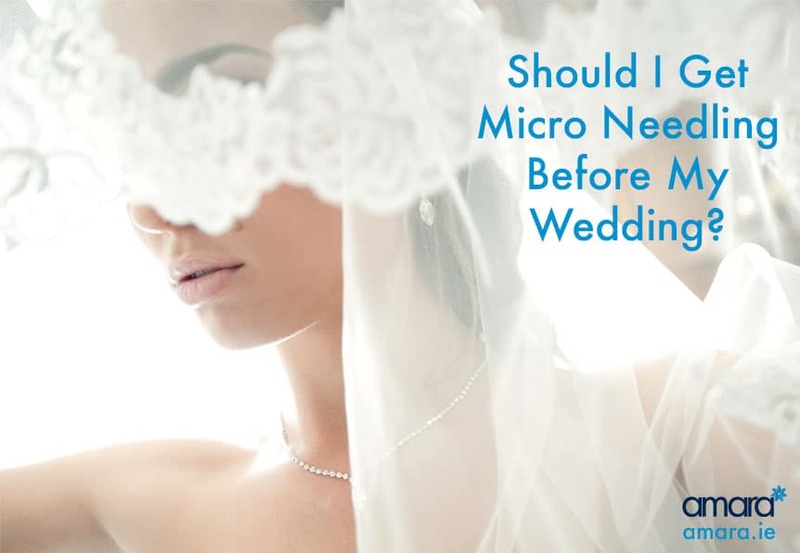 Is it ok to get Micro Needling before my wedding? We would always recommend that you never try anything thing on your skin one month before your wedding. Ideally the sooner the better for anything as you will have longer to prep your skin and get it to optimum skin health. For Brides in particular the Clear Skin Package is very popular as this covers every aspect of skin care – At home daily target routine, deep exfoliation and resurfacing for skin health and then rejuvenation and texture. The Age Defence package is also very popular and includes a discount on ZO Skin Health products. Book in for a consultation now to start your wedding skin prep and our therapists will work with you on every step of your skin health journey.